천등산 기슭에 있는 봉정사는 신문왕 2년(682) 의상대사가 지었다고 한다. 부석사를 세운 의상대사가 부석사에서 종이로 만든 봉황새를 날려 보냈는데, 그 새가 내려앉은 자리에 절을 짓고 봉정사라 이름지었다는 전설이 전한다. 이 건물은 극락전 앞에 동향(東向)으로 서 있으며 원래 불상을 모시는 부속 건물이었을 것으로 생각되지만 지금은 승려가 기거하는 방으로 사용하고 있다. 1969년 해체·복원공사 당시 발견한 기록에 광해군 8년(1616)에 고쳐 지은 것을 알 수 있을 뿐 확실하게 언제 세웠는지 알 수 없다. 앞면 3칸·옆면 2칸 규모이며, 지붕은 옆면에서 볼 때 사람 인(人)자 모양을 한 맞배지붕이다. 복원 전에는 북쪽 지붕 모양도 달랐고 방 앞쪽에 쪽마루가 있었으며 칸마다 외짝문이 달려 있었다. 그러나 지금은 앞면 3칸에 2짝 여닫이문을 달았고 옆면과 뒷면은 벽으로 막아 놓았다. 지붕 처마를 받치기 위해 장식하여 짜은 구조가 기둥 위에만 있는 주심포 양식이다. 비록 건물은 작지만 다양한 건축기법을 사용하여 구조가 꼼꼼히 짜인 건축물로 주목 받고 있는 문화재이다. According to a sangnyangmun (message concerning a ridge beam raising ceremony) of Geungnakjeon Hall, Bongjeongsa Temple appears to have been built by Great Monk Neungin in the late 7th century while legend has it that the temple was built in 672. 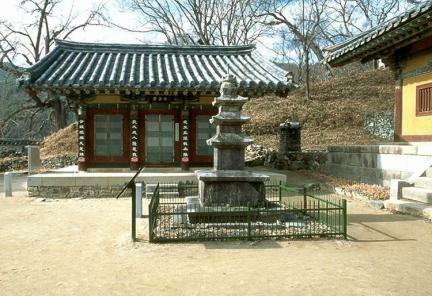 Gogeumdang Hall stands facing east in front of Geungnakjeon Hall. 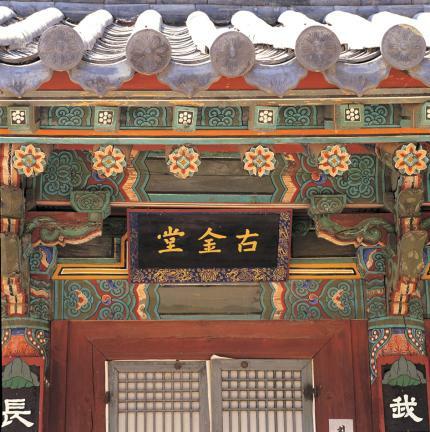 It is assumed that Gogeumdang Hall was originally intended as an annex to enshrine a Buddhist statue, but it is now inhabited by a monk. 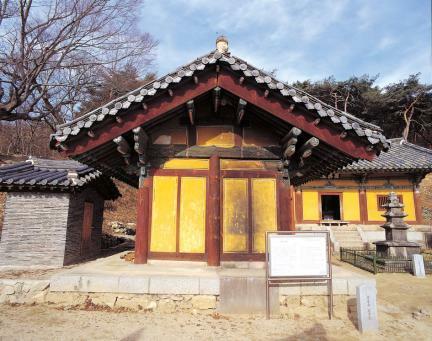 According to the record found during restoration work carried out in 1969, the building was repaired in 1616 (the 8th year of the reign of Prince Gwanghae of the Joseon Dynasty); however, the exact construction year is unknown. 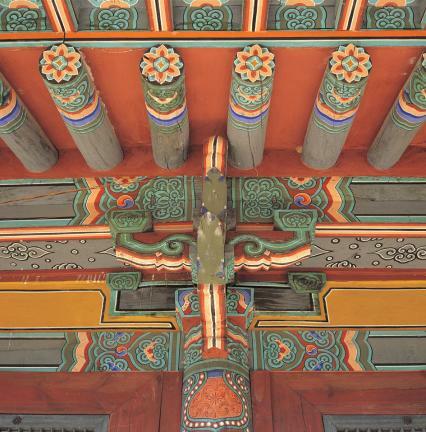 Gogeumdang Hall measures three kan (a unit of measurement referring to the distance between two columns) at the front and two kan at the sides, and has a gable roof resembling the character 人 when viewed from the side. 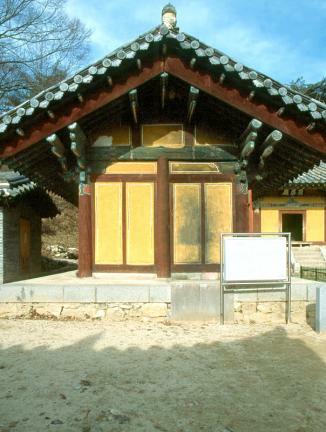 Before the restoration work, the building had a different style of roof (in the northern part), a narrow wooden veranda in front of the room, and a door for each kan. However, a pair of hinged doors is now installed at the front, and the building is walled at the sides and back. 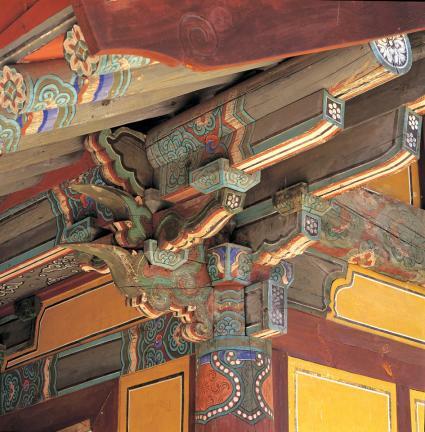 The eaves of the roof are supported by a system of brackets placed on the pillars. 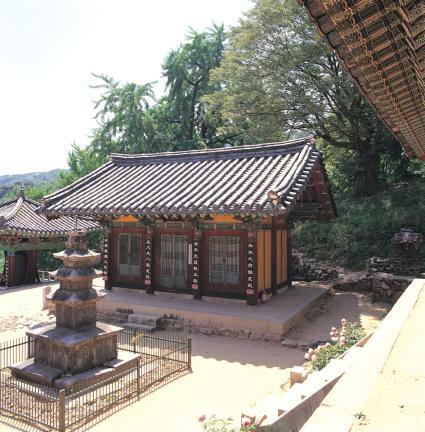 Although the hall is small, it was built by combining various construction styles and is well structured. 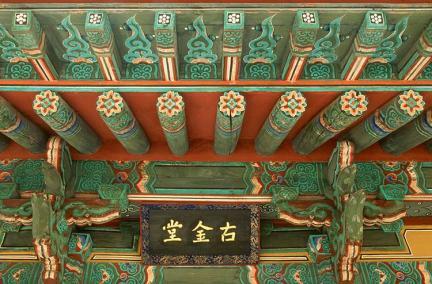 Gogeumdang Hall of Bongjeongsa Temple is regarded as an important cultural asset for the study of Korea’s architectural history. 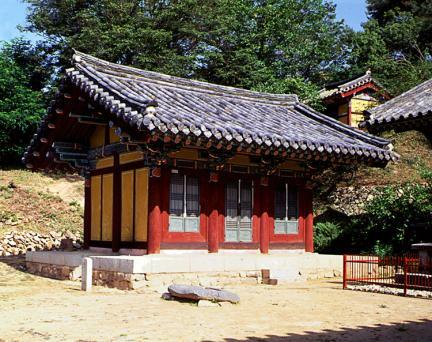 *Bongjeongsa Temple is known to have been built by Buddhist Master Uisang in 682 (the second year of the reign of King Sinmun of the Silla Dynasty). 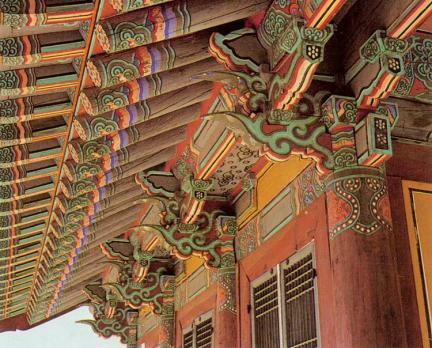 According to a legend, Master Uisang, the founder of Buseoksa Temple, made a phoenix from paper and released it into the sky, and built a temple, which he named Bongjeongsa, at the place where the paper phoenix landed.